Good news for taxpayers who have been waiting for the IRS to begin processing returns that include Residential Energy Credit (Form 5695), Mortgage Interest Credit (Form 8396), and the General Business Credit (Form 3800). The IRS began accepting the last group of forms impacted by late tax legislation today, Monday, March 4. Residential Energy Credit(Form 5695) – This tax credit may save you up to $500 if you purchased energy efficient windows, doors, roofs, and insulation. Mortgage Interest Credit (Form 8396) – Lower income individuals may receive an additional tax credit for part of their home mortgage interest paid. Most of the other forms are related to business tax credits or tax credits and deductions that impact more complex tax returns. For a complete list of forms please see the IRS list of forms. Have any of the forms mentioned? If you do, don’t worry. TurboTax is up to date with all tax law changes, so you can file today and feel confident that you will get every tax deduction and credit you deserve. 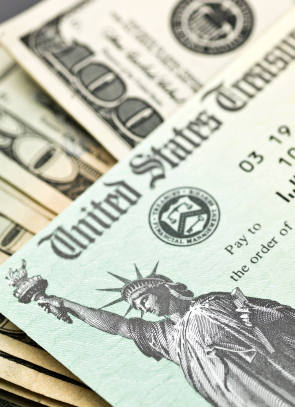 The IRS began accepting tax returns for the vast majority of taxpayers on January 30. As of today, March 4, the IRS began accepting and processing all 2012 tax returns..
Have a question? Only TurboTax lets you talk to CPAs, IRS enrolled agents, and tax attorneys while you prepare your taxes, free. Same as Grace V, bought from Costco. Went to efile last night and got the message, 1040, forms still not ready or something similiar. Today is 4/15. What to do? What to DO? I had the same problem as Grace V last night. Bought from Costco as well. The message is that there are forms that are still being updated and it would not let me efile. What to do?? I tried again to e-file but keep receiving message forms not available for update?! 1040? I purchased my copy of turbo tax from Costco like I do every year and have not had this occur. I am getting concerned since today is 4/14/13. What can I do? I am unable to file my federal tax return thru turboTax. All my info is correct. I’ve tried several time. My state tax return went thru. I filed my daughters taxes using Turbotax. The M1PR property tax refund printed with Do Not File Form Not Final. Was this form electronically filed? or do I need to Print and mail this form? I have the same question for my own M1PR It did not print with Do Not File on it but was this also electronically file? My dad passed away and we filed on the 22nd of February have no clue what is going on did not file electronicly, can you help me. What is the status on problems Arizona is having with e-file? I heard they have a hugh number of returns that have not been accepted or acknowledged. It’s easier to e-file, but is that the case this year? How do I download forms that turbotax emailed me? Can’t file and no one answered phone. Got an email that forms were ready to download. HOW? I have a week to resolve. I purchased the disk for home and business. Let me know how to download the two forms (ed credit 8863 & depreciation schedule C) quickly so I can file!!!! I ran the update request, input all my data and when I got to the end of the process…no forms are available…not even the 1040…help! I filed my return and it was rejected marcch 5, 2012 for the federal and state. I took the loan for first time homebuyer in 2008 for $ 5000. and was told that it did not qualify for it since I was refinancing my home as a single person without my husband. I have paid two times on this loan. Now this year my refund has been held up. I also have filed for mortage interest credit and I paid $ 500 using turbo tax my refund was reduced but I had no way to add the form in my return telling the IRS. I need to inform them of the payments that I have already made in the last two years as well as the New Amount. What should I do. I filed my return with turbo tax on line the beginning of Jan. It was accepted by the IRS Jan 22nd. (Before most returns were accepted on Jan 30). I do have education credits. I have a big return and it has been 3 months. In Where’s My Refund it say “still processing”. No one seems to know anything about my return. What do I do and what’s going on? Im still not able to get education expense for 2012 as the Turbo tax is still showing that the form will be available shortly and today is 3rd April. Any clue why this delay? I have used the cd version of turbo-tax 2012 and have used the same ones in previous years but never had this problem. Without education expense figured in my tax is couple of grands over. If you use the CD version you have to make sure you update. You should receive a pop up message to update as soon as you launch the software. I’m trying to update my 5695 form in TurboTax Deluxe online. When I hit the button to update, it never went to the place where solar energy costs are captured. This is the last thing I need to fix before filing my taxes. HELP!! I did up date and when I got to the education credit (form 8863) turbo tax is telling me the form will be available shortly. Is there a way to do a second update? My forms will not get updated. I keep trying and have a few different returns for my kids that are complete and it will let me complete as it says the forms are not updated. What can I do to get this handled? Is Turbotax now able to efile 1040 with form 5695? A couple of weeks ago when I started my return,TT said not eligible to efile due to the 5695 had to be filed hard copy. Is turbotax having the education credit issue with the IRS? No TurboTax does not have the issue with form 8863 that another software provider had. That form was originally delayed by the IRS and could not be accepted by them until 2/14, but we have been submitting the forms to them since then. hello lisa ..please i did my filling almost 12 days ago and whenever i track it on irs.gov it keeps telling me Your tax return is still being processed. Can you please tell me if Massachusetts is currently accepting Turbo Tax returns? I have heard there are a list of states refusing them. I see above that MN is resloving issues. Please advise so I know if I can submit or not. There are no other issues with any other state and Minnesota is now also accepting TurboTax returns. I filed with HR block jan 29..accepted feb 14.. And I am having same issues. 21 days has come and gone with no answer from IRS as to what’s going on? I filed the education credit and that was apparent hold up but now what? This is getting ridiculous! Recently started tax preparation only to find out that Minnesota, where I reside was no longer accepting taxes filed via TurboTax. Can you tell me what is happening on that front. Yes, you are now able to file your Minnesota tax return using TurboTax. I finished my taxes on the 7th of Feb and turbo tax is saying it has been accepted but when I check “where’s my refund” it is still showing still being processed. All I have are children and a home, what is taking so long?? So much for the 21 day thing. I filed jan.10 and accepted feb.14th. It’s past the 21 days of waiting for the refund. I have received the letter from IRS, no errors, no DDD and when I go on the IRS website to check status it says I input the info wrong when I have accurately. What’s the true story going on at the IRS? Is it a computer glitch they are trying to fix that set everyone back education credits? Has the problem with the MN State Income Tax forms been corrected. If not, when? If I am unable to use the state tax portion of the software to file in MN, will I get a refund on the price of the product? I finished my taxes and turbo tax won’t let me file because of form not available. What gives? Its been a week I’m getting annoyed. ok my tax return was processed ,and the amount i was expecting to get has decreased bout $4000.Why? Enough……… when will my tax return be processed….? I filed Feb. 2nd….. who is at fault? tubo tax or the IRS?…I’d like an honest answer.